Part of the creative adventure is not really knowing how something I am making is going to turn out. Though not knowing how my project is going to look is not as scary as not knowing what what my future will be, the uncertainty often holds me back from trying. I need to be more open to the unknown, maybe do more of my own designing instead of relying so much on patterns. Something to keep in mind anyway, especially during those periods of uncertainty driven inertia. I think that is why Rick gave me the calendar. I tend to worry about what could go wrong, which just doesn’t make the journey enjoyable. This entry was posted on Sunday, January 4th, 2009 at 3:00 am and is filed under Garden, Life and Photography. 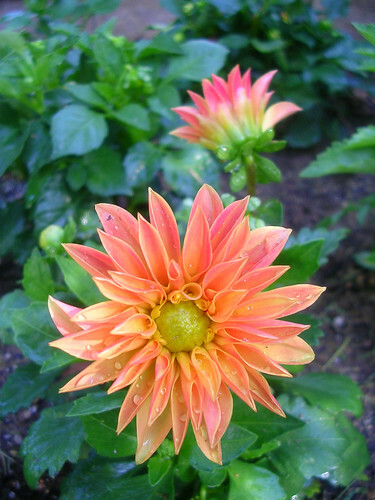 Tagged: Dahlia, Garden, Life, Photo. You can feed this entry. You can leave a response, or trackback from your own site.